On 27 acres, we are a small Organic and Biodynamic (non-certified, pursuing certification) farm in Henry County, Kentucky, 35 minutes from downtown Louisville. 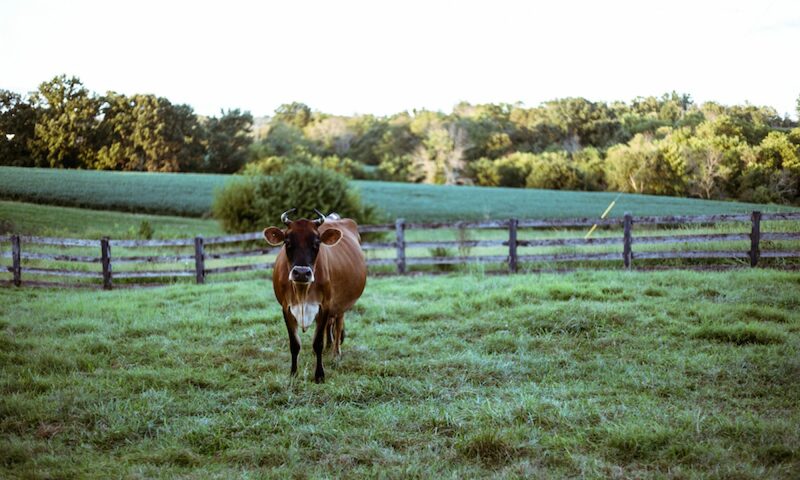 We milk a homestead sized herd of Jersey cows and run a small CSA farm. In partnership with Valley Spirit Farm and other Henry and Oldham County Farms, we offer a Full Diet CSA with the convenience of home delivery in the greater Louisville area, including Oldham and Henry Counties. The Full Diet CSA is year round and includes veggies, meats (beef, pork, poultry), dairy, eggs, fruits, bread, and other pantry items like lacto-fermented veggies, honey, sorghum, bone broth, and cooking fats. This CSA option is fully customized by you each week through the online order form–you choose exactly what you want; it arrives at your door a few days later. This is great option for small or large households who wish to get most of their foods from local, sustainable sources.